Just ahead of the July 4th holiday, Dunkin’ Donuts is bringing Donut Fries across America. 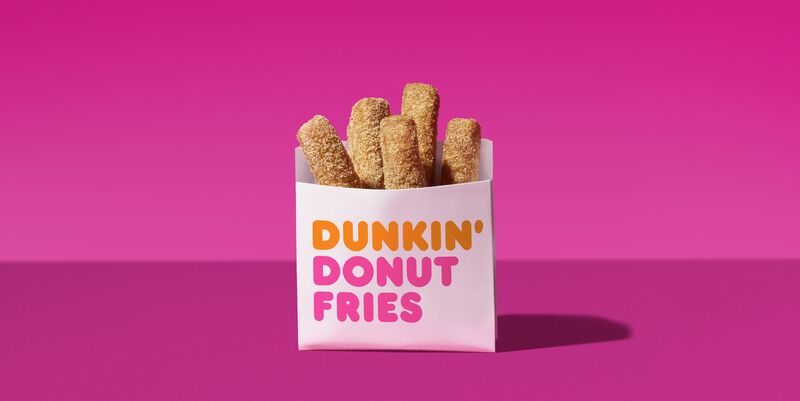 Following a successful test earlier this year, Dunkin’ Donuts announced it will now bring new Donut Fries to guests all throughout the country, available for a limited time at participating Dunkin’ Donuts restaurants nationwide beginning Monday, July 2. With spring finally here, one of the season’s most fun and iconic sweet treats has flown into Dunkin’ Donuts and landed on the brand’s beloved donuts. Dunkin’ Donuts today unveiled new Peeps Donuts, its first-ever donuts topped with a real Peeps Marshmallow Chick. 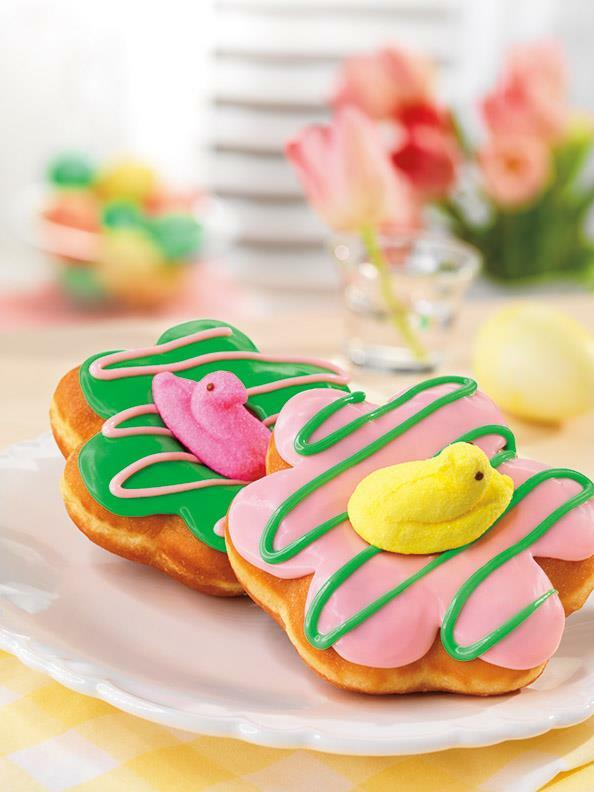 Perfect for spring and the Easter holiday, Dunkin’ Donuts’ Peeps Donuts are shaped like flowers, decorated with pastel pink or green icing and topped with a pink or yellow Peeps Marshmallow Chick. The new Peeps Donuts will be available for a limited time at participating Dunkin’ Donuts restaurants nationwide beginning Monday March 31, 2014.